Folk Like Us provides support and advice to people over the age of 65, living in the borough of Southend who are experiencing loneliness and isolation. These people are supported by Turning Tides Team Leaders and if required will be signposted to services who can assist them further. Folk Like Us is a project of Southend Association of Voluntary Services (SAVS) and delivered by the Turning Tides Team. Turning Tides promotes active citizenship and offers a range of activities for young people living in disadvantaged areas of Central Southend as well as supporting isolated older people living across the Borough. Turning Tides encourages involvement in social activities, volunteering, training and environmental projects. 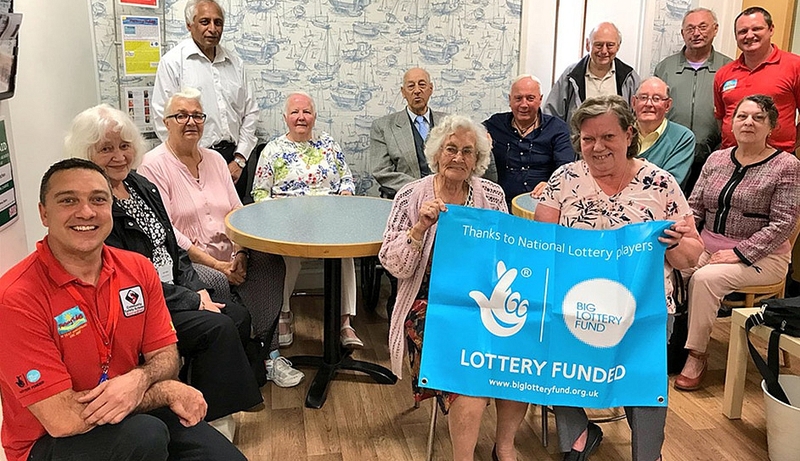 Turning Tides has been delivering community projects in Southend over 10 years and in this time has engaged with many elderly residents, supporting them on issues involving their neighbourhoods, transport, safety and relevant support services. Over this time many elderly residents have stated that they feel isolated or lonely. In some cases they are aware of social groups or services that would benefit them but lack the confidence to access them. Learn new I.T skills—internet, smartphones, skype etc. Turning Tides works with many partner organisations like; Age Concern, Club 50+, Papworth Trust, South East Essex Advocacy etc. The project offers a ‘HUB’ every Monday to Friday from 10am to 2pm, held at the SAVS building on Alexandra Street. Anyone can drop in during these times whether they are a registered member or general public seeking information. It’s a relaxed and friendly place where people can have a chat with the team, meet other people, learn some basic I.T - smartphones, tablets and computers, learn cooking skills in the HUB kitchen or be signposted to useful local services. There are also ‘Connect Events’ held every 3 months where members are invited to come along and hear from a guest speaker covering a variety of subjects i.e. fraud, history, health etc. This is a fun way to meet other members and share experiences, lunch is provided and activities like quizzes or raffles are part of the event. The Turning Tides team also offer Home Visits to those who are unable to leave their house, ensuring even those who are unable to travel or leave their homes, gain the same support and service. New to 2018 is the FLU Allotment, a great space for FLU members to garden, grow produce and socialise. FLU members have wide ranging skills and the allotment is a great way for these to be shared with others. Once the allotment has been established, it will be used for intergenerational events and community engagement. or visit the HUB at 29-31 Alexandra Street, Southend-on-Sea, SS1 2BW. You can also learn more on the SAVS website at www.savs-southend.org.